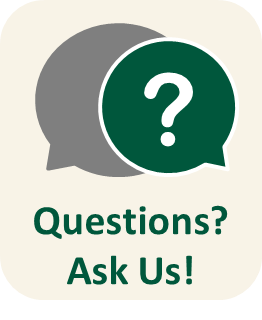 What information do I need to request an Interlibrary Loan (ILL)? How many items may I request through ILL? Student/faculty/staff are limited to 20 outstanding ILL requests at any one time. In addition, only five requests per patron per day, up to the limit of 20, will be processed. Many libraries in the state and region have ILL borrowing agreements, and there are no fees or photocopy charges. If the requested material is only available from a library that charges a fee, ILL staff will notify you. How will I know when my ILL arrives? When the material arrives, you will be notified by e-mail or telephone. Material may be picked up at the check-out desk near the library entrance. The time the material sits in the library is part of the loan period, so pick up the material promptly upon notification. How long may I keep my ILL? Loan periods for books are set by the lending libraries. Any other restrictions are also set by the lending library, not the Ron E. Lewis Library, and must be strictly enforced. Please make every effort to return borrowed items before their due dates. You may keep photocopied articles. Can I renew my ILL materials? If more time is needed, contact the ILL office at 409-882-3080 at least four days ahead of the due date. Renewals are at the discretion of the lending library. Always return ILL materials to the check-out desk near the library entrance. Never return materials to the lending library. Always return ILL materials with the identifying ILL sleeve. Please contact ILL staff by email: Kungwha.Kim@lsco.edu or by phone at 409-882-3080, Monday-Friday, 8 a.m. -5 p.m.